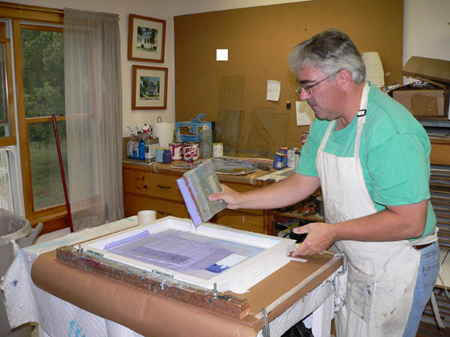 William Mitchell is a printmaker and painter who lives in Dover, New Hampshire. Originally from Catskill, NY, William received his B.A. from the State University College at Oneonta NY and later studied at the Boston Museum School. In 2007 William completed graduate studies at the University of New Hampshire receiving a Master's in Education. 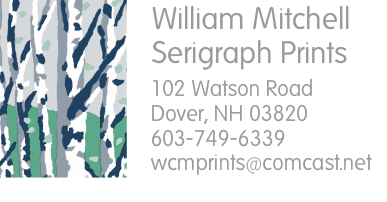 William has been a juried printmaker in the League of New Hampshire Craftsmen since 1991 and is a listed artist in Who's Who in America. William's work is included in many private and corporate collections. Prints have been commissioned by New Hampshire Public Television, The New Hampshire Sierra Club and the League of New Hampshire Craftsmen's Some of his handmade limited edition holiday greeting cards are in the James Mullen collection of the Smithsonian Museum. 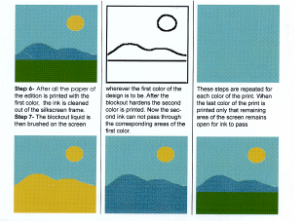 While most people think of silk screen prints as being composed of straight lines and solid blocks of color, William's prints show the hand of a skilled painter. In fact, many of his prints got their start in the paintings that serve as his initial "sketches." In addition to their flowing lines, William's prints are known for their striking use of color. His prints are bold and bright; there is nothing tentative or hesitant about William's work. 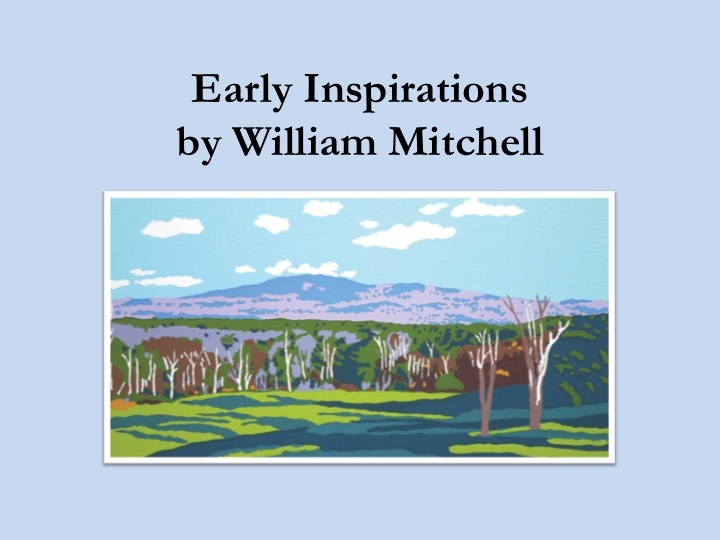 And in the combination of his painter's hand and his vivid palate, William is able to put on paper the joy and reverence he feels for the New Hampshire landscape. William writes: "the beauty of New Hampshire continually moves me. Many people feel a personal connection with my prints because they depict some of their favorite places. I hope the inspiration I receive from such vistas are protected now and forever." 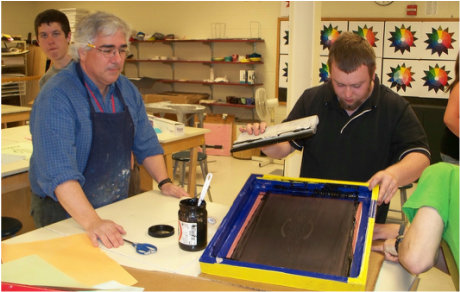 William has been enjoying teaching at Pittsfield Middle High School since 2008.